Hello My Crafty Spot readers! 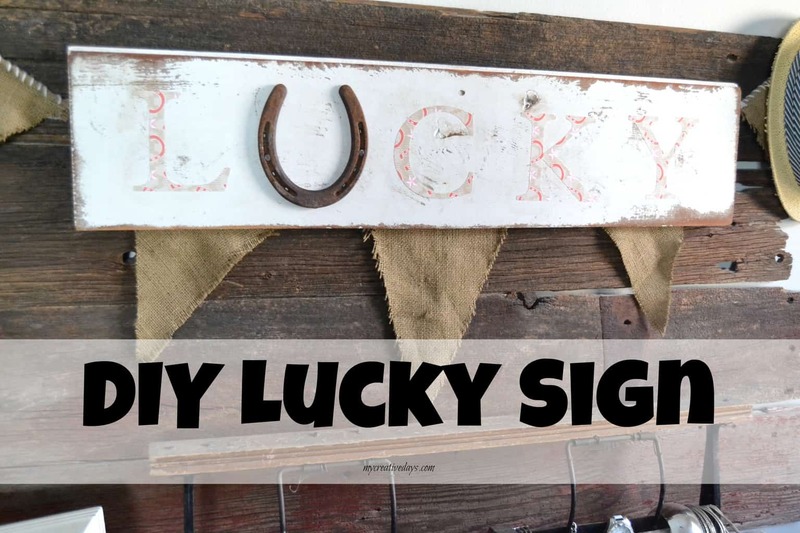 It is Lindsay from My Creative Days here to share a DIY project to help celebrate St. Patrick’s Day tomorrow. I am someone who loves to see the potential in almost everything. 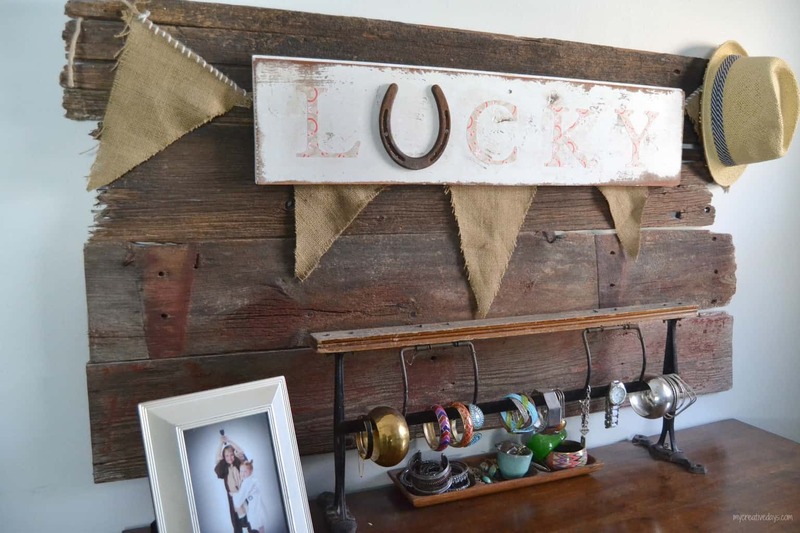 I keep stacks of old wood, miscellaneous metal pieces and odds and ends from all of my projects because I know I can reuse them for something else. This sign is a great example of that. 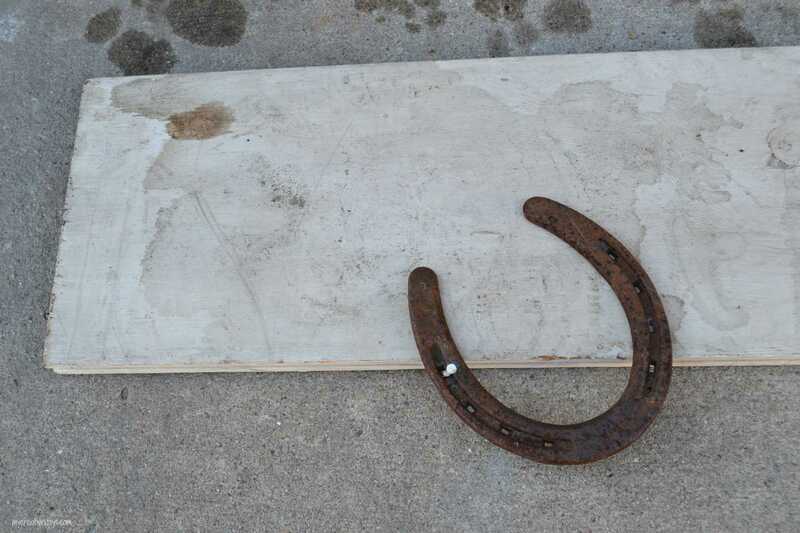 I had a left over horseshoe in our garage and some old, wood boards that I wanted to bring together for a sign on St. Patrick’s Day. I painted the wood board with a fresh coat of white paint and made it look worn with some rough sandpaper. 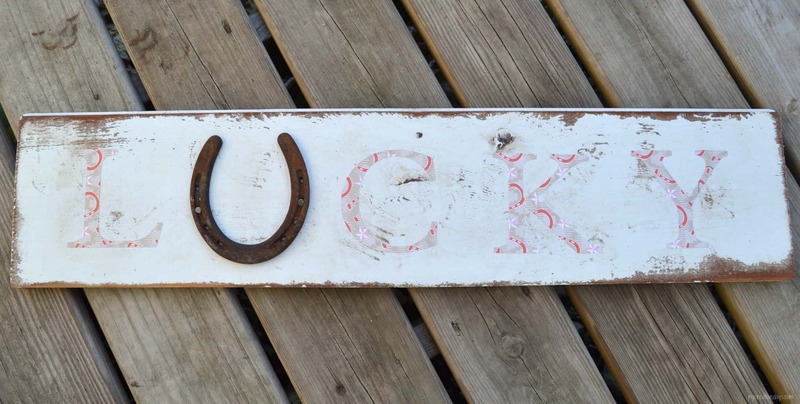 I nailed the horseshoe on the sign for the letter “U” in “lucky” and cut the rest of the letters from my Cricut. I even had some horseshoe scrapbook paper to use! Perfect! *Tip: I always pick up scrapbook paper at yard sales because it is usually dirt cheap and I use it on so many projects! I Mod Podged the letters on the board. When that was dry, I put a clear coat on top of the entire sign. To hang the sign, I added some twine to the back of the board with a staple gun. Easy! 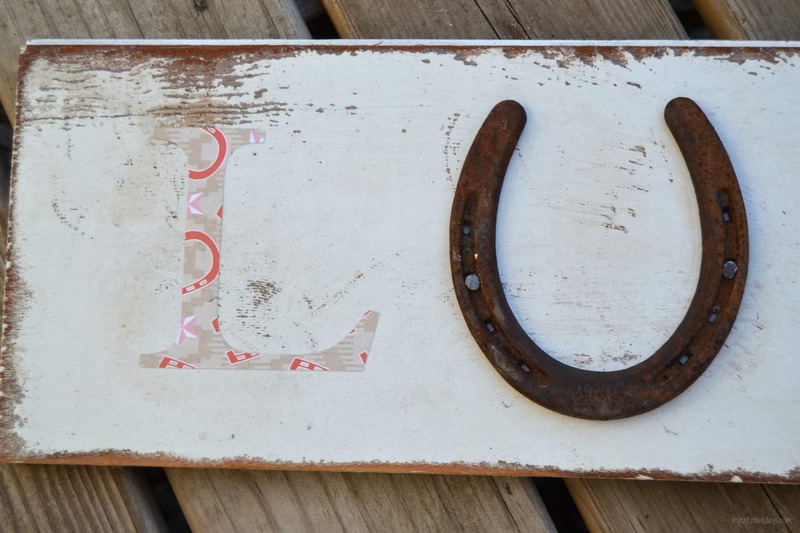 I think this sign would be cute in a nursery, a cowboy/cowgirl room or even on a gallery wall in a family room. We are all lucky for different reasons and this sign definitely celebrates that. Follow along with me on My Creative Days to see all my other creative adventures! Lindsay is mom to Landen and Gabrielle, wife to Matt and blogger at My Creative Ways. She loves to be creative in her day, her home and with her kids. She is obsessed with old wood, rusty treasures and everything in between. Finding frugal and creative ways to decorate her home, create a fabulous craft or activity with her kids is a passion of hers. She is new to the blogging world and is having a lot of fun sharing her projects and ideas. She loves to read comments from readers who have found inspiration from visiting her site. Come by and check out what she is creating today!